Nestled in a quiet section of Charleston’s renowned King Street, Fulton Lane Inn is just steps from an eclectic selection of many popular Charleston restaurants, plenty of gorgeous and historic waterfront homes, as well as the antique and shopping districts. The Fulton Lane Inn’s storied past dates all the way back to 1889 when our earliest building was first constructed for the YWCA. The antiquated charm that still thrives here allows our guests to get an even deeper sense of the city’s history. 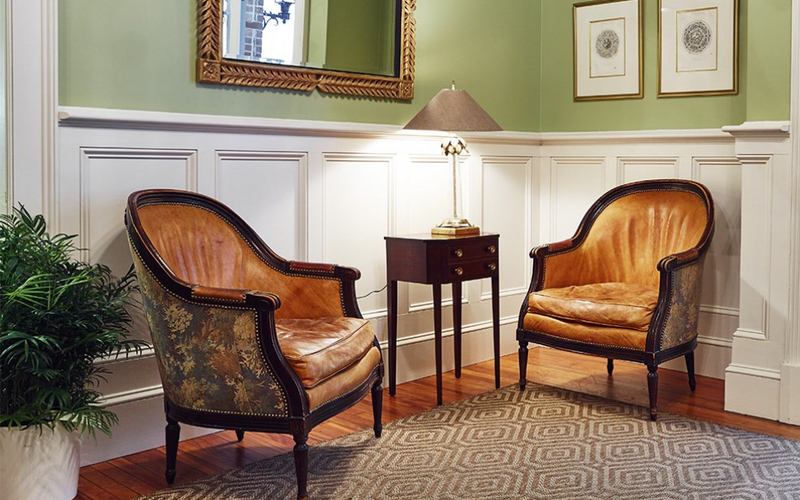 Immerse yourself in the days of old, and experience the very best of the city in relaxed, Southern style at one of South Carolina’s top inns. Start every evening with a wine and cheese reception. The French Quarter’s top attractions are just outside the door. Impress your guests with seamless business meetings. Fall in love with Charleston’s most romantic destination. Experience true hospitality at our family-owned hotel. Savor your complimentary continental breakfast in bed. In 1889, a three-story building with an elaborate facade of red brick and sandstone is built for the YWCA. The first floor houses an indoor swimming pool, while the second and third floors’ rooms are rented to YWCA members and their guests. On the same street in 1912, another three-story building—this one of pressed brick with granite trim and a yellow brick facade—is built for a tailor, John Rugheimer & Sons. Rugheimer started the tailoring business after suffering an injury while blockade running for the Confederacy. After serving as apartments for some time, the buildings undergo a complete renovation from 1992 to 1994. Modern baths and other conveniences are added, while the original historical features are thoughtfully maintained. Finally, in 2008, all of the buildings are connected by interior hallways, transforming them into a one-of-a-kind destination—the 45-room Fulton Lane Inn. Featuring a unique, tucked away location and cozy rooms with romantic touches, the Fulton Lane Inn has earned a place in the heart of couples around the world. Whether you’re seeking an anniversary celebration destination, a beautiful honeymoon suite, or a dreamy setting to shower your partner with love, you’ve found the perfect inn. Highlights for couples include our undeniably romantic accommodations, featuring fireplaces and whirlpool tubs, complimentary breakfast in bed, our Romance Packages, and more. Groups adore the Fulton Lane Inn for its relaxed comfort, intimate privacy, and remarkably close proximity to renowned restaurants and exciting nightlife. A refreshing alternative to larger, corporate hotels, Fulton Lane Inn embraces groups of all shapes and sizes with warm service and true Southern hospitality. Group highlights include our diverse and attractive Charleston event spaces, our two-room suites, and our group packages, such as the Girls Getaway Package. As a family-owned historic hotel, we love to cater to families. Our two-room suites are perfect for kids and parents alike. Plus, we’re located in one of America’s most family-friendly cities. From taking in the sea life at the aquarium to hitting the sand and surf of nearby beaches, you’ll find that there’s something for everyone here in Charleston. 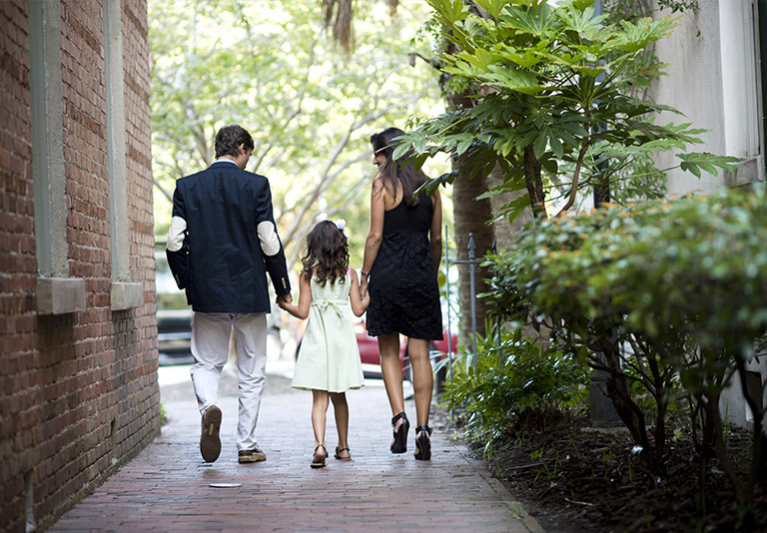 Highlights for family travel include complimentary continental breakfast that everyone can enjoy, family-friendly two-room suites, our Charleston Family Fun Package, and more.